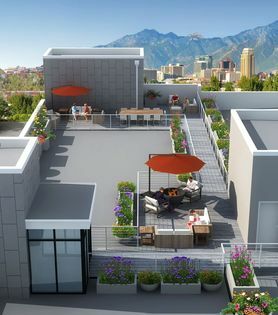 Integrating seamlessly with one of Salt Lake City’s most eclectic neighborhoods, C9 Flats fuses modern design elements and luxe finishes for the ultimate living experience. 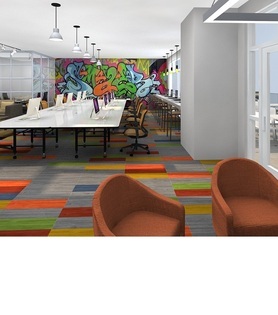 Here, an inviting, urban chic aesthetic is prominent throughout the stunning apartments and posh community spaces. Interior features, including quartz countertops, plank-style flooring and LED lighting, make each residence glamourous, yet eminently livable. Outside, discover an amenity selection that knows no limits and promises to exceed even the most extraordinary expectations. Whether you want to enjoy the view of the downtown skyline from the rooftop terrace, break a sweat in the two-story fitness center or pamper your pet at the paw spa, every on-site attraction perfectly complements the unique character of Central Ninth. Surrounded by tree-lined streets, this hip Salt Lake City district has everything from locally owned restaurants and funky coffee shops to upscale retail destinations, creating a thriving area of commerce, culture and community. Don’t just lease, live. Call today for more information about the apartments for rent at C9 Flats.